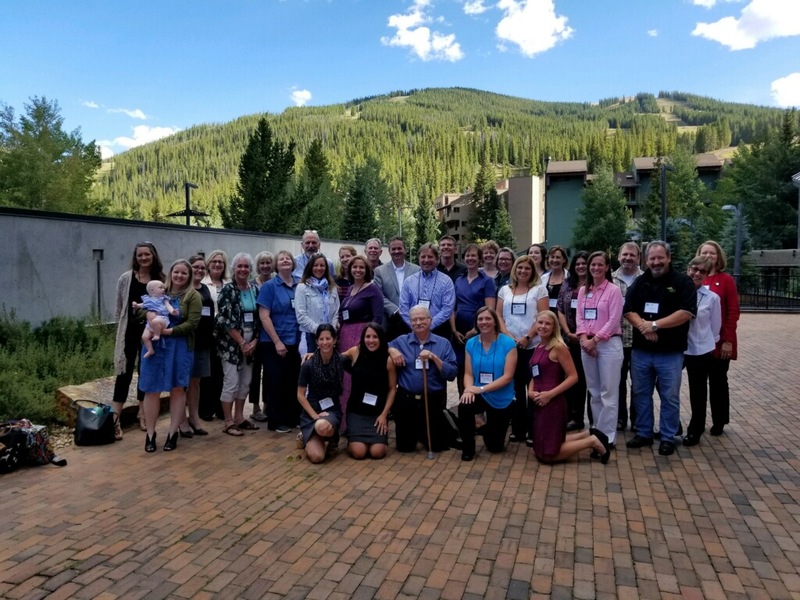 Many thanks to everyone who participated in the energetic PH transformation discussions over a day and a half at Public Health in the Rockies! This lovely photo is from Wednesday afternoon after the last session (click for larger image. many other participants not pictured). CDPHE’s Cancer, Cardiovascular and Chronic Pulmonary Disease (CCPD) Grants Program is projecting revenue deficits in the coming years and is planning for necessary program cuts. CCPD recently shared their proposed solutions with grantees and would like your feedback by September 5 to prepare for discussions at the next grantee meeting on September 14. Review their proposals here (budget discussion starts on page 30, possible solutions on page 38) and provide written feedback to CCPD via email by COB September 5. Two home-grown health equity resources were recently released to Colorado PH professionals. While they are both guides for change, each has a different scope and audience, and can be used as complimentary resources. Together they will strengthen local public health’s position as a community leader in advancing equity. Health Equity: A guidebook for public health practice – Developed by the health equity workgroup of the Metro Denver Partnership for Health (MPDH), the guidebook presents equity in uniquely public health frames. It provides a solid operational grounding that encourages users to connect general concepts to their specific circumstances. It is ideal for the PH practitioner looking to “to incorporate health equity into their individual and organizational public health practice.” The resource is meant to stimulate critical thinking, and each section features learning objectives and reflection exercises suitable for co-learning or individual exploration. 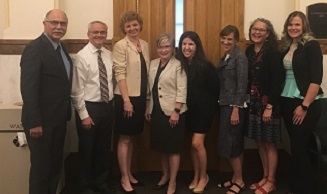 The MDPH team just formally released the guidebook at Public Health in the Rockies, and is now working with the Rocky Mountain Public Health Training Center to develop it into an online series. Creating Thriving Communities in Colorado: An Equity Action Guide – The CO Office of Health Equity (OHE) worked with a community advisory committee to develop this resource with an overarching economic theme. The guide is broad enough for anyone, but specifically designed for “local and state government decision-makers, philanthropic entities and community organizers.” OHE conducted social media surveys to explore community priorities and conducted additional analysis of secondary data sources that help describe those priority areas. The resulting resource compels systems thinking and reinforces the economic arguments for advancing equity. The action guide should prove to be an effective engagement tool for helping all types of public health partners see the bigger pictures (especially with its powerful infographics). CALPHO was part of a group testifying on August 14 before the Opioid and Other Substance Use Disorders Study Committee. Presenters included community-based organizations, local public health agencies and the Colorado Consortium for Prescription Drug Abuse Prevention as were there to provide a perspective from the frontline on the many local efforts being used to address the opioid epidemic in the state. CALPHO’s testimony emphasized the importance of the entire continuum of care, services and systems including prevention, early intervention treatment and recovery that must be considered when creating a solution to the substance use issues in the state. CALPHO took the opportunity to express, again, our members’ willingness to partner in these ongoing conversations and be an integral part of the solutions that are proposed. Learn more about the work of this committee in these summaries prepared by CALPHO’s lobbyists at Frontline Public Affairs. The Youth Tobacco Landscape is Changing Rapidly: How is Public Health Keeping Up? In month's CALPHO blog. Peter Manetta discusses recent developmnts in youth tobacco use and some recent public health responses. Read it here. Know someone who deserves recognition for their hard work? The “Faces of Local Public Health” is a monthly profile series on the NACCHO website that highlights the achievements of active members. The posts will include a member’s brief biography, professional photo, and description of their success story. The nominee must work in an LPHA that is a dues paying NACCHO member. Learn more here. Rocky Mountain Health Plans (Archuleta, Delta, Dolores, Eagle, Garfield, Grand, Gunnison, Hinsdale, Jackson, La Plata, Larimer, Mesa, Moffat, Montezuma, Montrose, Ouray, Pitkin, Rio Blanco, Routt, San Juan, San Miguel, and Summit): no specific information on a local PIAC, but it doesn’t hurt to ask about it. When faced with challenges in your work or life, how do you respond? Resilience is a set of skills that enable us to bounce back during challenging times. In this ECHO series, you'll learn practical tools to integrate into your daily life to cultivate personal resilience This course is open to public health and clinical practitioners of all kinds. Register here. Public Health Reportsoffers free access for a limited time to top-rated reports! This event is free and presented in partnership with the Early Childhood Council of the San Luis Valley. Complimentary lunch will be served. This is the annual conference of the American Planning Association’s Colorado chapter. CDPHE’s Office of Emergency Preparedness and Response (OEPR) is hosting its annual meeting of the Public Health and Medical Advisory Committee (PHMAC) Novemebr 15-16 in Aurora. Registration details coming soon!